Brand Affairs has won the mandate of Pro Linguis to develop a social media and marketing strategy. The mandate includes a new positioning and marketing strategy within an overarching face-lift process which has been launched by Pro Linguis this summer. The focus lies on developing a new social media strategy, aiming at a younger target group. The rebranding comes in time for the 60th birthday of the company, and is intended to provide a breath of fresh air for its future. “Language studies are more popular than ever before – throughout all age groups. That’s why it was very important for us that our new look attracts all target audiences,” says Marc Jaschinski, Head of Sales of Pro Linguis. Pro Linguis offers a wide and varied selection of language studies around the world. With over 60 years of experience and a network of over 300 language schools worldwide, the company is one of the largest language service providers in Switzerland. 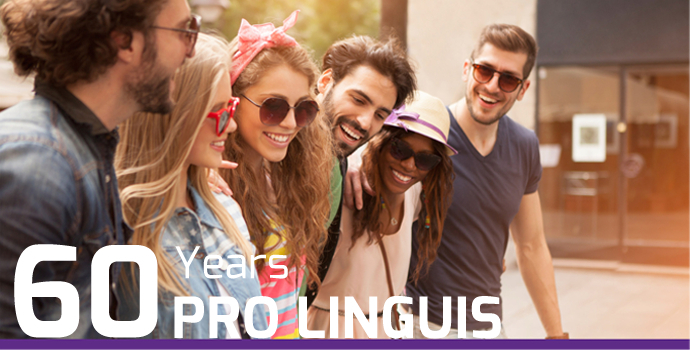 Besides regular language holidays, Pro Linguis also provides specific solutions for gap years and language diplomas, and together with its partner RHZ Sprachen, it provides ​​language courses in Zurich. Pro Linguis is a founding member of Salta, the Swiss Association of Language Travel Agents. The PR agency Brand Affairs was established in 2006 in Zurich’s Seefeld, based on the confidence of Harley-Davidson and Starbucks. Today’s core competencies are in the areas of strategy, public relations, media relations, and crisis communications. Currently, Brand Affairs manages clients in Switzerland, Austria, Germany, England, and beyond, in cooperation with the partner network Cohn & Wolfe (WPP).